All Saints Lutheran, Charlotte, NC. The months fly by, as Eliza comments in her article in the latest edition of the Askins in Asia. We have been on this journey for 7 months now, and it's still full steam ahead. Please read this edition of the Askins in Asia for more. Pastors and Secretaries, please print a copy of this newsletter and post it on your church bulletin board. Alternatively, please feel free to forward this email to your congregational email address list. Finally, for those of you receiving this email for the first time, welcome! You've received this email because you signed up at one of my presentations. You can unsubscribe using the link at the bottom. Thank you for your support, for your prayers, and for your time following us and Christ's work through us. 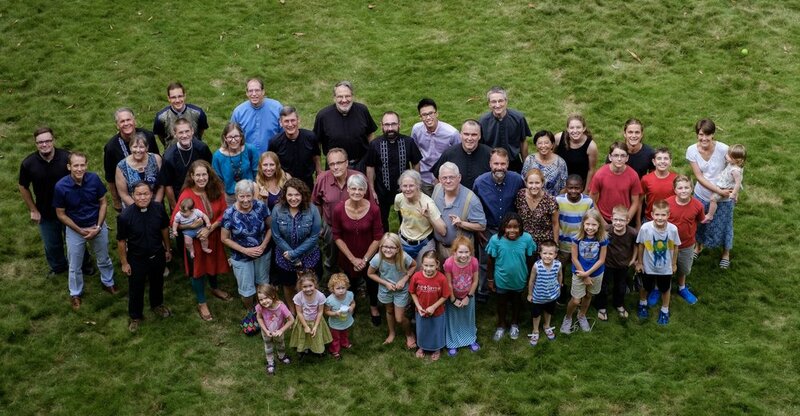 We give thanks to God for all those who have partnered with the LCMS to send us to Asia. If you would like to join those partners, you can do that here. Give now. If you would like to follow how the Askins support network is going, you can do that here, on this website: Click here. Sign up with your email address to receive our newsletters directly.